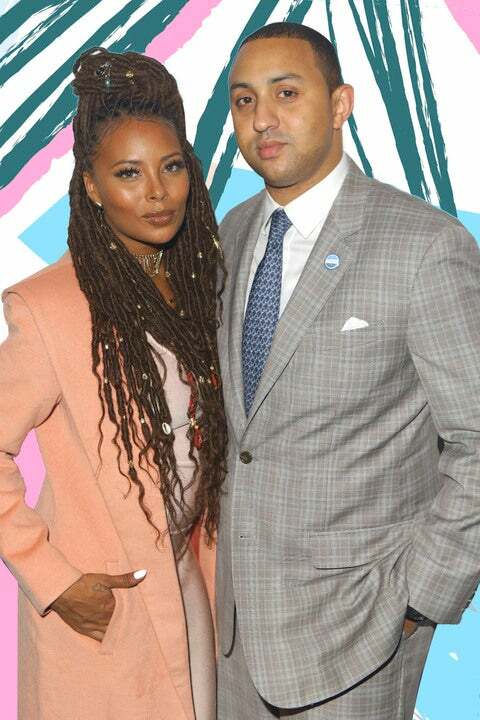 Wedding bells are officially ringing for Eva Marcille! The model and Real Housewives of Atlanta star was beaming from ear to ear in a flawless, makeup-free photo she posted to her Instagram page on Christmas Day, where she’s seen flashing a classic diamond ring on her ring finger. The accompanying caption for the post simply reads, “I said yes!! !” complete with a ring emoji. Eva and fiance Michael Sterling began dating just over 2 years ago, ahead of Sterling’s recent run for Atlanta Mayor. The engagement rounds out a year full of exciting news for the couple, who announced that they’d be welcoming their first child together — a baby boy—just before Thanksgiving. VIP tea party seating is reserved for lil Mike - coming Spring 2018. Eva @evamarcille and I couldn't be more excited. #wearefamily. Photo credits: @joecarlosphotography. “I’m beyond elated to be having a boy,” the “America’s Next Top Model” winner told People when the pair first went public with the news. The new baby boy will join big sister Marley Rae, whom Eva shares with ex-boyfriend Kevin McCall. It was also revealed this year that Eva would be joining the cast of Real Housewives Atlanta for the show’s 10th season.